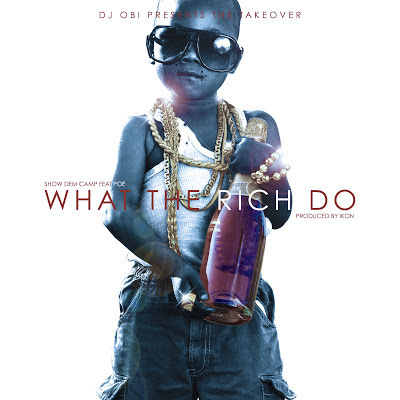 Dj Obi presents the first single from his upcoming project, The TakeOver Mix tape. The announcement of the single, "What the Rich Do" (#WTRD) a couple of weeks ago caused a stir on social media, with a string of home videos and pictures being posted by fans. The Track features SDC, POE and was produced by IKON. The song highlights the social economic issue of unfairness amongst classes in Nigerian society. That aside, its a club banger and will surely have people moving and shaking. Dj Obi moved back to Nigeria recently and is definitely a Dj to watch out for. Already fast rising because of unique style, he's destined to leave a lasting impression on the African Music Industry. DJ Obi is the Syndik8 Records Official Dj and holds and weekly Saturday residence at Likwid. ITS STILL #Syndik8Summer and we have more music and videos coming!